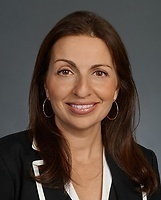 Ojen Sirin is the Director of Strategic Talent Management at Sullivan. Her focus is on developing the firm’s associates through talent management, individual career development plans, evaluation and feedback systems, and strategic and comprehensive work-brokering approaches. Ojen works in partnership with the firm’s department directors and practice group leaders to ensure that associates receive the appropriate levels of experience for their class year. She is responsible for developing and implementing all attorney training and sponsorship programs. Ojen co-manages the firm’s First Year Associate program, whereby first year associates rotate through each of the firm’s departments, and she coaches and counsels them in their placement. She also serves on the Diversity & Inclusion Committee, as well as a Member at Large of the Associates Committee. Read Ojen's posts on our InhouseGo2 blog, your source for top-of-mind issues affecting all C-level executives.